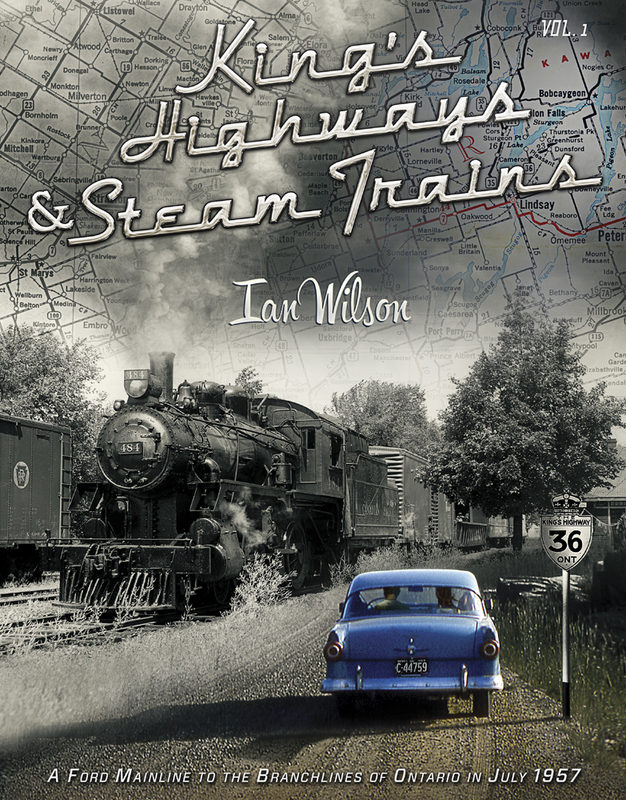 In King's Highways & Steam Trains volume 1, Angus Wolfe and Amanda Webb are 21 years old. Angus's elderly mechanic friend Eddie has restored his 1956 Ford Mainline two-door sedan. In the process, he discovered it was a time-travel vehicle. Angus and Amanda travel back to July 1957 in the classic car to visit the railway branchlines of southern Ontario. 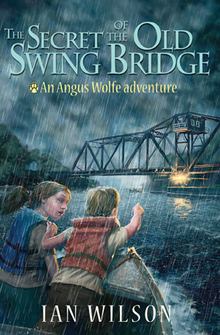 The Secret of the Old Swing Bridge is a mystery novel for young readers and adults alike. Twelve-year-old Angus Wolfe meets Amanda Webb, eight months his senior. She lives in the railway junction town of Washago, featured in three of Ian Wilson's steam railway books. Amanda helps Angus solve this mystery which dates back to the Second World War. The King's Puzzle is a novel that is a work-in-progress. It is not known when/if Ian will finish this tome. Like its predecessor novel, Angus Wolfe and Amanda Webb (aged 16 in this book) tackle a mystery dating back to the Second World War. The King's Puzzle was being published as a six-part eBook serial. However, if the project is completed it will be offered in print form. $24.95 CAD SHIPPED TO CANADA (click button multiple times if ordering more than one copy). Indicate for whom you would like it signed, if applicable. $24.95 USD SHIPPED TO USA/INTERNATIONAL (click button multiple times if ordering more than one copy). Indicate for whom you would like it signed, if applicable. There is a free gift to accompany each of the first 500 copies ordered! When 12-year-old Angus Wolfe discovers a cache of documents near the site of an old swing bridge in Washago, Ontario, he becomes entangled in a mystery dating back to the Second World War.